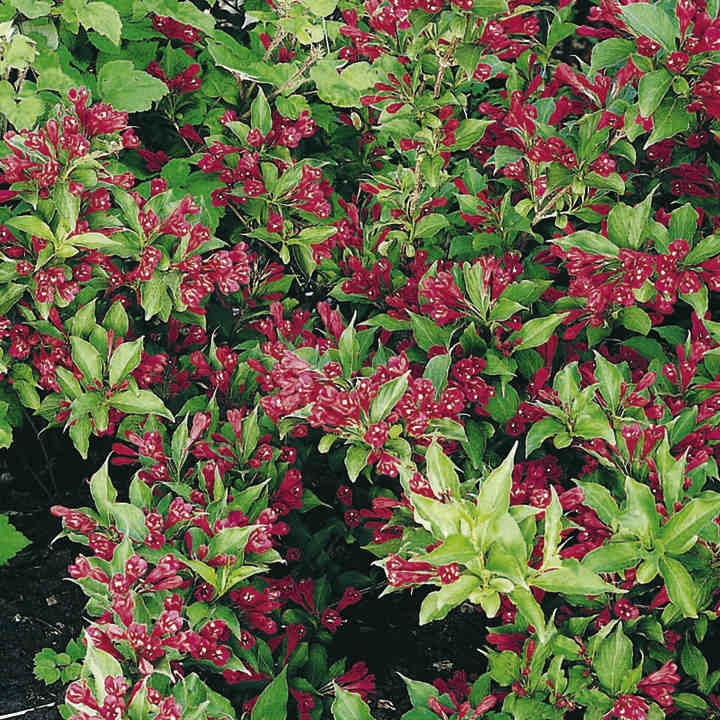 Weigela Red Prince is a bushy, compact shrub that is excellent for borders, beds or along pathways where its beautiful fragrance can be best enjoyed. Clusters of rich red flowers are produced in spring and into summer against a backdrop of dark green leaves. Flowers May-July. Height 1.2m. Supplied in a 7.5-10 litre pot. Weigela Red Prince is a bushy, compact shrub that is excellent for borders, beds or along pathways where its beautiful fragrance can be best enjoyed. Clusters of rich red flowers are produced in spring and into summer against a backdrop of dark green leaves. Flowers May-July. Height 1.2m. Supplied in a 3 litre pot or 7.5-10 litre pot.